Cotton Candy Machine - Bounce House & Party Rentals | Inflatable-Kingdom.com Jackson MS. 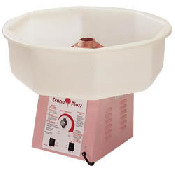 Create perfectly sweet and fluffy cotton candy with this easy-to-operate cotton candy machine. Rental includes serving for 50 guests.